This Vauxhall Corsa is available in Silver, Black, White, Red, Blue other colours and lease options, subject to availability and includes a warranty. The Corsa is available in manual or automatic, really cheap to insurance, specially for new drivers. Great-value car that’s best in the higher-spec trims, comfortable, refined, good to drive and high-quality spacious cabin. Running costs are cheap and comes with a lifetime warranty. Like many other vehicles that we have on offer this deal is suitable for individuals that have good or poor credit history and even if they do not have a deposit to put down. Which Vauxhall Corsa are you going to lease today? We offer top quality Vauxhall Corsa from brand new, nearly new, slightly used or ex demo, whether you have good or poor credit rating, pay a low or no deposit. These Vauxhall Corsa can be leased or financed and come with a warranty, HPI checked and when contract hire leasing, include UK nationwide delivery and AA or RAC Roadside Assistance cover for peace of mind. 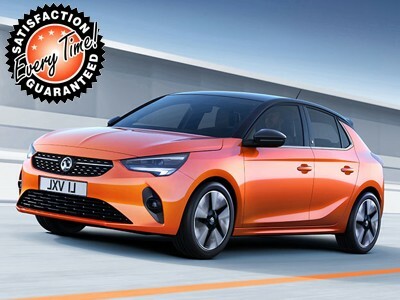 Time4Leasing can offer you the latest Vauxhall Corsa lease deals at lower prices because these vehicles are exclusive and offered at lower rates to customers that have good, poor or even bad credit history score ratings. The Corsa’s popularity in the UK is partly to do with its sharp new styling. Mainly, though, buyers have a huge choice from petrol to diesel engines and manual or automatic transmission and the opportunity to bag a serious bargain. For out and out discounts, car leasing brokers are the places to go or you might like to take advantage of Vauxhall’s up to five years’ interest-free hire purchase offer, which includes a finance deposit allowance. With a lifetime warranty or 100,000 miles which ever comes first you can have peace of mind and hassle free driving. The Corsa is one very popular car and very cheap to run. These Corsa come with either 3 doors or 5 doors and a variety of engine sizes and the most popular one being the petrol engine. A good choice for cheap motoring, cheap to insure and ideal for young and older drivers. As we get many customers that just have an automatic driving licence and can only drive an automatic car, there is an Automatic Corsa on offer with a 1.4 litre engine as the car does need a little bit more power so to cater this. What ever your credit history score, good or bad there is a good offer available for everyone. There are 82 Vauxhall Corsa Lease Deals on Offer.